An ethnic Kazakh imam from Habahe county, Altay prefecture, in northwestern China’s Xinjiang region, in an undated photo. An ethnic minority Kazakh imam has died in police custody in the northwestern Chinese region of Xinjiang, with authorities attributing the cause of death to “suicide,” sources in the region told RFA. The Kazakh imam, known by a single name, Akmet, was detained last week by authorities in Xinjiang’s Sanji (in Chinese, Changji) Hui Autonomous Prefecture, a source close to the case said on Thursday. “We don’t know exactly what happened, why he was detained by the authorities, but two or three days later, they said he had hanged himself,” the source said. “They have already handed over his body to his family,” he said. 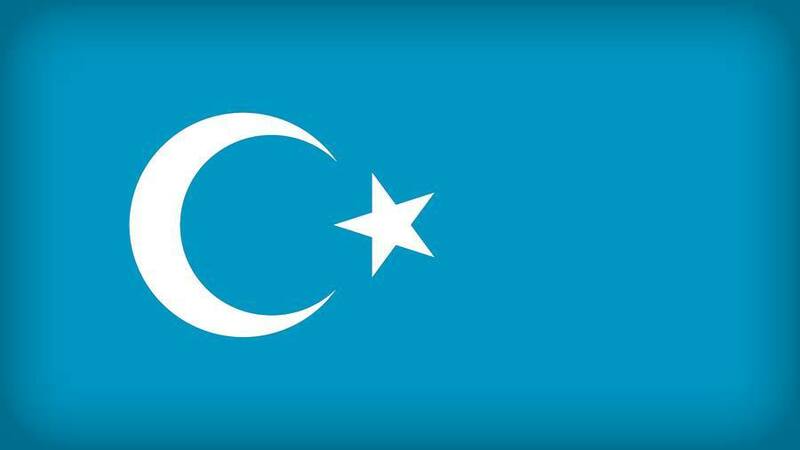 The source said that the China-based Kazakh ethnic minority, many of whom are Muslims, have recently been targeted in a similar manner to the mostly Muslim Uyghur ethnic group, with a slew of restrictions preventing them from moving freely between China and neighboring Kazakhstan. Earlier this year, a prominent Kazakh imam known as Okan was jailed for 10 years by a court in Habahe county, Altay (Aletai) Prefecture, for performing traditional funeral prayers in accordance with Islamic customs, Kazakh sources said. Okan’s jailing came three years after the sentencing of Habuli, an imam from a mosque near the regional capital Urumqi three years earlier, they said. Meanwhile, the ruling Chinese Communist Party appears increasingly concerned about cross-border movements and communication between Kazakhs within its own borders and those in Kazakhstan. “Local religious affairs bureau leaders and village chiefs have been putting pressure on [Kazakhs in China] to cut off all ties with people in Kazakhstan, including unfriending anyone on [smartphone messaging app] WeChat who is in Kazakhstan,” one local Kazakh told RFA after requesting anonymity. “There was one Kazakh guy from Tacheng district who was sentenced to eight years’ imprisonment for posting something on WeChat about the Kazakh government’s immigration policies,” the source said. He also cited the cases of an ethnic Kazakh musician from Xinjiang’s Kumul (Hami) city, who was sentenced to eight years over a Kazakh song with religious content that he sent to his brother. Calls to the Hami municipal government offices rang unanswered during office hours on Thursday. Many of the religious restrictions imposed for many years on Xinjiang’s Uyghur population have been applied to Kazakhs, too, according to members of the ethnic group in China and Kazakhstan, where some have staged a protest in recent weeks over the enforced cutting off of communications with friends and family across the border. The authorities are increasingly policing their speech, however, even to the extent of criminalizing formulaic exchanges of blessings using traditional Islamic phrases, the Kazakh source said. A leaked copy of a June 5 speech made by deputy Xinjiang party secretary Zhu Hailun indicates that “dealing with the issue of Chinese nationals overseas in Kazakhstan” has recently been identified as a matter of urgency for the local government. “Chinese nationals in Kazakhstan must be made to return their [Kazakh] residency cards, their pensions, and any land or grasslands that they own,” the leaked memo shows. “Pay attention to online attitudes and comments, so as to avoid anything happening that could have an impact on President Xi Jinping’s forthcoming trip,” it said. President Xi attended leadership summit of the Shanghai Cooperation Organization (SCO)—a regional grouping of China, Russia, and their neighbors in Central Asia—in the Kazakh capital Astana last week, where he called for greater cross-border cooperation between its members. The SCO has been accused by rights groups of facilitating each others’ human rights abuses, while justifying them as being part of antiterrorism cooperation. Official figures show that there are around 1.5 million Kazakhs in China, mostly concentrated in and around the Ili Hasake (Yili) Kazakh Autonomous Prefecture. China has previously welcomed Kazakhs who wished to relocate from Kazakhstan, but now many Kazakhs with Chinese nationality are heading back in the other direction, with their numbers peaking at nearly 38,000 in 2006. Reported by Qiao Long for RFA’s Mandarin Service. Translated and edited by Luisetta Mudie.